/Is it true that the population of Jerusalem in AD 70 was about 20,000 and that, therefore, Luke wildly exaggerates? The author [or the article mentioned below in the original question] quotes from J.C Russel who says ” Had there been that many converts ( 5,000 in acts 4:4 and many thousands of Jews in Acts 21:20) in Jerusalem it would have been the first Christian city, since there were probably no more than 20,000 inhabitants at this time” He also quotes Hans Conzelmann, saying these numbers are only “meant to render impressive the marvel that here the lord himself is it work” I don’t know how reliable these sources are. He also says that Robert Grant pointed out ” One must always remember that figures in antiquity… were part of rhetorical exercises” and were not meant to take literally. How should I do my own research when I come across material like this? Estimates of the population of Jerusalem from ancient sources varies widely. Those who say that ancient historians overestimated numbers as a matter of course are speaking truthfully, at least as a rule. However, to extrapolate and to assume that this is true of the biblical writers is not careful scholarship. Clearly, the New Testament authors were not writing books in the same genre as Josephus or Tacitus. Those who claim that Luke is grossly exaggerating need to present evidence to support their conclusion, not simply make an unsupported claim. Luke has been shown to be remarkably reliable on so many details that to simply make an unfounded statement that he only “meant to render impressive the marvel that here the lord himself is it work” is downright irresponsible. Let me give you a sampling of the kinds of numbers you will find for the first century AD, both from ancient sources and from modern estimates. Roman historian Tacitus estimated the population of Jerusalem at the time of the Jewish wars to be 600,000 . The estimate your professor is relying on is probably that of Hillel Geva who estimated 20,000 in AD 70 Hillel Geva (2013). “Jerusalem’s Population in Antiquity: A Minimalist View”. Tel Aviv 41 (2): 131–160. We can be confident that Josephus exaggerated. It is likely that Tacitus relied, at least to some extent on Josephus, but surely he knew people who actually had lived in Jerusalem, so he was not relying only on Josephus. In any case, it is very likely that Tacitus’ number is too high as well. Let me give my unprofessional response to the criticism you found in this book. 20,000 is almost certainly a gross underestimate as it is coming from an archaeologist who has an ax to grind and who is trying to make a name for himself by giving the lowest possible estimate of the population. The BAR number, 80,000, is also conservative, as it comes from relatively conservative archaeologists. BAR goes out of its way to be careful and tends always to make conservative claims, but at least not from ones who had a professional reason to underestimate. It is likely to be within a factor of two, one way or the other, of correct. Surely Geva is right that Josephus exaggerates. My guess is that a better number is about 100,000 or so inhabitants for Jerusalem in the mid-first century. If this is so, then the number of Christian converts was somewhere between five and ten percent before the expulsion of the Christians in about AD 38 or so and probably smaller than that after the expulsion of the church. Your professor is presenting a biased and unfair view of the reliability of Luke, and is not even taking into account what Luke said happened to the church. I believe that Luke, of all people, is the least prone to either over- or under-estimate the number in the church in Jerusalem. If he were lying, then his letter would have been discredited in the church who he intended to use the book of Acts. 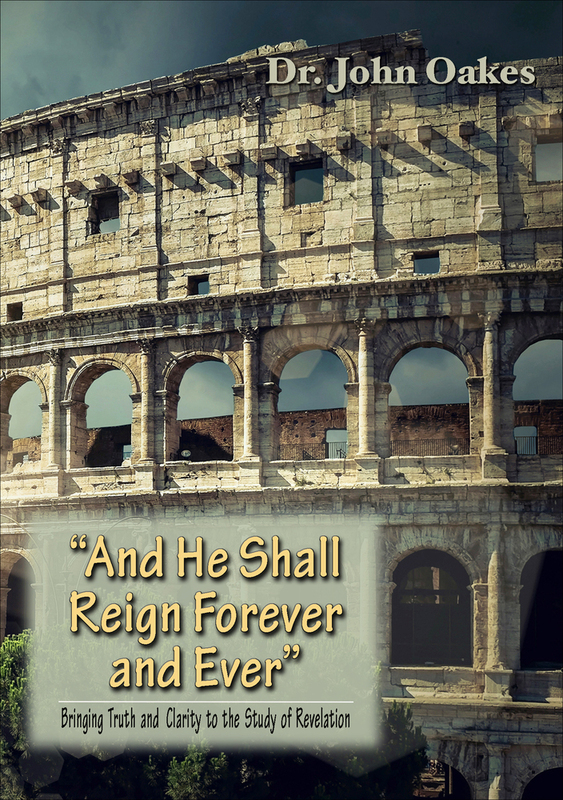 Christians across the Mediterranean were well aware of the size of the church in Jerusalem. The audience of Luke is not the audience of Josephus. Luke does not give us the population of Jerusalem at the time, but there is no fact of history which makes his numbers unbelievable. A side note. The man you mention criticizes Acts 21:20 because it claims many thousands of Jews in Acts 21:20. He implies that Luke is saying there were many thousands of Jews in Jerusalem at that time (about AD 58). This is an obvious mistake. The “many thousands of Jews” who had become believers at the time is a reference to Jewish converts throughout the Roman Empire, not the number in Jerusalem. A simple reading of the passage will reveal that the author criticizing Acts 21:20 has not even bothered to understand the passage and is simply looking for reasons to criticize Luke. This is further evidence that this man’s claims should be taken for what they are–highly prejudiced. You can do your own research easily. You can start with Wikipedia, but from there you would do well to look at the sources they quote and also do some common-sense thinking about the biases and prejudices of those who talk about this question. I am reading a book for one of my classes called “the rise of Christianity” and the author makes a point that if the early church had well over 3,000 adherents then a significant of the population in Jerusalem would have been Christian. He claims that there is no evidence of this massive population growth and says that the real number is probably around 1,000 by the year 40. 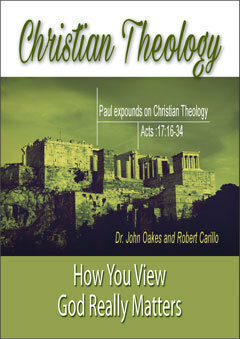 His viewpoint suggests that Luke exploded the numbers to make things look like God was powerfully moving in the church. I have never looked into this and it seems interesting. We should bear in mind that, as a rule, we know relatively little in detail about the ancient world because the records are scanty or even non-existent. This is especially true when it comes to things like trying to estimate populations and percentages of populations with a particular language, religion or cultural practice. In rare cases, archaeology can help, but generally, this is limited. 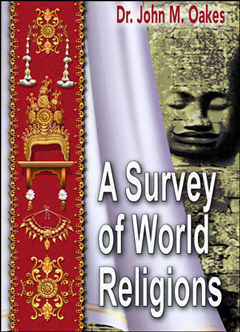 The fact is that we do not have religious affiliation surveys available from the fifth decade of the first century in Jerusalem. Here are the facts. Christianity began in Jerusalem. By the end of the first century there were churches stretched across the Mediterranean basin, established by the church which began in Jerusalem. Clearly, this group was very influential. The church in Antioch had come to have a similar influence by the end of the first century. 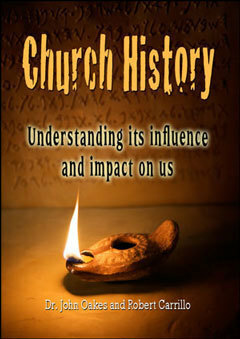 There have been estimates of the church in Antioch from several thousand to fifty thousand by the late first century. By the second century, there were areas of northern Mesopotamia, Asia Minor and Palestine where Christians were a significant percentage of the entire population. A letter from Pliny the Younger in AD 112 from Bithynia asked what to do with the great number of Christians who were being accused of being Christians. Domitian had formally made being a Christian illegal in the late first century. We do not know how many Christians there were at this time in the Roman empire, but in the hundreds of thousands is a conservative estimate. As for Jerusalem, our only reliable source is the New Testament writers. Luke reported that three thousand were baptized at Pentecost, and the number of disciples had grown to five thousand just a rather short time later–possibly within months, probably in less than two years (Acts 4:4). Unless the author has evidence that Luke is lying, then we should take his claim at face value. Let us accept that we do not have evidence of a large Christian population in AD 40. Do we have evidence that there was NOT a large Christian population in AD 40? I say that we DO have evidence that there was a large Christian population in Jerusalem. The evidence is the statement of Luke. Why is it that skeptics will accept the evidence of the word of anyone else, no matter how low the character, but when it comes to a Christian, who we know generally were of the highest character, they automatically reject such information as useless? This is clear evidence of bias. The level of bias is particularly notable when it comes to Luke who was a very careful historian, as I will show below. Another historical factor needs to be weighed. This is the report from Luke himself that there was a massive persecution of the church some time before AD 40. According to Luke, virtually the entire church fled Jerusalem. We are not told how many remained, but we can assume that of the well over five thousand, a small percentage remained. Perhaps it was less than one thousand. What we do know from Luke is that the church was of a fairly significant size by the sixth and seventh decade of the first century because he came with Paul to deliver help to the church, as reported in Acts 15 and Acts 21. Probably the church in Jerusalem was back well over one thousand, and perhaps several thousand by AD 60, but we simply do not know as Luke gives us no numbers. Let me finish with two points. First of all, given that Luke himself said that the church was scattered from Jerusalem in about AD 37, this author’s claim that the church may have been as small as 1000 in AD 40 does not even contradict the biblical statements. This shows me that the author with this criticism is probably not even aware of the historical record in Acts. This makes me very skeptical of his reliability on this question. ” I found myself brought into contact with the Book of Acts as an authority for the topography, antiquities, and society of Asia Minor. It was gradually borne upon me that in various details the narrative showed marvelous truth. In fact, beginning with a fixed idea that the work was essentially a second century composition, and never relying on its evidence as trustworthy for first century conditions, I gradually came to find it a useful ally in some obscure and difficult investigations. Luke is a historian of the first rank; not merely are his statements of fact trustworthy; he is possessed of the true historic sense; he fixes his mind on the idea and plan that rules in the evolution of history, and proportions the scale of his treatment to the importance of each incident. He seizes the important and critical events and shows their true nature at greater length, while he touches lightly or omits entirely much that was valueless for his purpose. In short, this author should be placed along with the very greatest of historians.” Sir William Ramsay, St. Paul, the Traveler and the Roman Citizen, (Hodder and Stoughton, 1920). So we have the testimony of Sir William Ramsay and the testimony of this skeptic author. Personally, I believe Ramsay and I believe that Luke did not grossly exaggerate. To accuse him of gross exaggeration, you would think that this author would have a single piece of evidence, but apparently he has none. All he has is an opinion about the population in AD 40 without any evidence to support that opinion, and the opinion just so happens to not even conflict with Luke. Yet he accuses Luke of exploding the numbers! Let me leave it at that. Is God a God of war (Exodus 15:3) or a God of peace (Romans 15:33)? Do Mormons get their teaching about baptizing for the dead from 1 Corinthians 15:29?